Big game hunters spoke and Kryptek listened. Kryptek Inferno is the answer to meeting the firearm hunting season requirements*. *Check your local hunting regulations as they may vary. I’m not a hunter but love this rag! The bright orange is awesome with the contrasting black. Super soft and comfy! Great to wear when out for a walk especially in a snowstorm, gives a bit of extra visibility. Always keep this one in my coat pocket. My husband saw this Hoorag and had to have it! Well made and bright, bright colors..
Great product , I wear one when ever I ride my Harley! I have bought a few just to give them as gifts to outher riders. Good quality fast shipping i love It. Great lightweight face mask. Pattern is quality and colour is aswell. Would be great for hunting in – 5c plus weather. This won’t add much warmth but with take the edge of the wind. 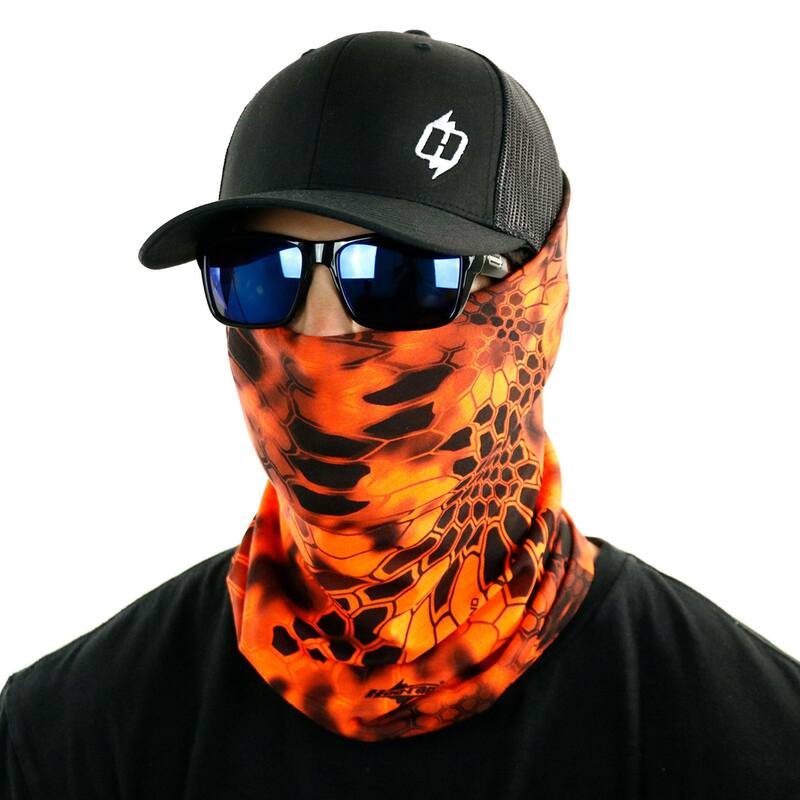 Would be ideal for hot days when you need to cover your face while gun hunting. Also would use as a hat for small game hunts early season when it’s warm but you need hunter orange. Purchased specifically for a camo orange hunting mask. The color, design, and wearing options are just what I’m looking for! Great colours. Fits snug. I will add it to my collection. Thanks guys! Incredible long lasting colors. Love this one for the brighter days. Can’t go wrong with buying from this company. Just love them. I was lucky enough to win this through one of you facebook contests. I love it! I have since bought a few more ! Just Love the vibrant colors! I had numerous guys wanting one & will be looking up your site soon! I’m a runner and I’m hoping that the wild color will help cars see me! Great sweat block, and a great dust protector (for those dirt road runs). Awesome, innovative, versatile product. 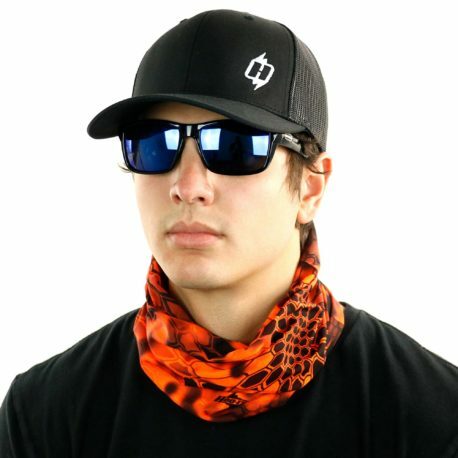 Great as a beanie or neck gaitor in hunting situations. Bought in other camo for Christmas gifts. 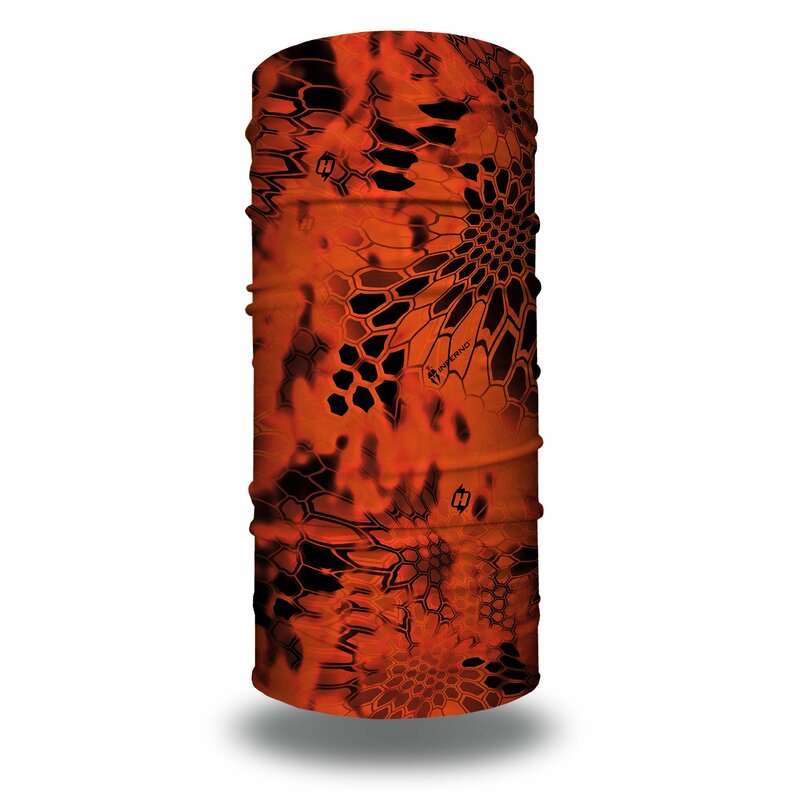 Love the kryptek pattern, must have for out in the woods during hunting season! I love Hoo-rags and when I saw the new “Inferno” , it was a have got to have deal!!! It is awesome! The Kryptek pattern is unlike anything else!!! Awesome quality as usual. This HooRag will be perfect for bow season. Keeps my faced covered and let’s other hunters know I’m there.